When Kermit Gosnell went on trial for multiple infanticides and one maternal death, media coverage was initially abysmal. It took a massive public shaming campaign to bring reporters to the courtroom. New York abortionist Robert Rho is now on trial for "only" one death. The victim, 30-year-old Jaime Morales, was killed during the commission of a late-term abortion. The media coverage this time around is worse than abysmal; it's practically non-existent. While there was some coverage of Rho's arrest in 2016, the only information we have about the trial comes from pro-life activist Lauren Handy, who has been observing the proceedings and giving her accounts to the Operation Rescue blog. I certainly do not intend to criticize Lauren, who is a personal friend and is undoubtedly doing the best she can under the circumstances. But she is neither a professional journalist nor a lawyer, and she has not been able to attend every day of the trial. She shouldn't have to be the one doing this, and the public deserves more comprehensive coverage of this story. With that caveat, here's what we've learned so far. Rho is charged with reckless homicide in Jaime Morales' death, which occurred on July 9, 2016. Rho did notice the complications, but attempted to correct them himself and did not call an ambulance. Morales fainted and was still woozy when Rho sent her home. Morales passed out again in her sister's car; her sister took her to the hospital, but it was too late. A key issue in the trial is to be the procedure that was used for the abortion. Morales was between 24 and 26 weeks pregnant. Such a late-term abortion typically takes place over several days, with laminaria (sanitary seaweed) being used to gradually dilate the cervix in the days leading up to surgery. The prosecution argued that Rho recklessly attempted to commit the abortion procedure in just one day, without laminaria. There was conflicting testimony on the question of whether or not laminaria were stocked at Rho's abortion facility. 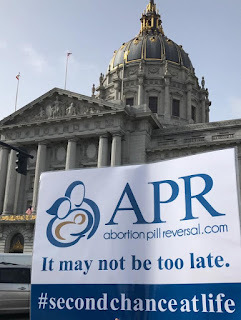 The prosecution also presented testimony from an expert anesthesiologist, who opined that Morales' anesthesiology report had been forged, and from Planned Parenthood abortionist Steven Chasen, who testified that Rho's method of dilating Morales' cervix was improper. In cross-examination, Rho's attorney has repeatedly raised Morales' alcohol consumption as a possible factor in her death. Lauren also observed tensions between Rho and his attorney and overheard some of their conversations. Critically, Rho has plans to open a new abortion facility if the jury finds him not guilty (although he no longer has a license to practice medicine in New York, so it's unclear where he would go). This case will not only determine whether or not Jaime Morales receives justice, but could also determine whether or not Rho will go on to injure more women. The prosecution rested its case on Friday. The trial continues today and is expected to last through May 3. The maximum sentence for reckless homicide is 15 years. Rho's fate will be decided by a jury of eleven men and four women. Most of the jurors are people of color. We fervently hope they will provide #JusticeForJaime. In January, we wrote about the passage of laws against Down Syndrome abortion in North Dakota, Indiana, and Ohio, and mentioned that Indiana's law had been struck down but was on appeal. 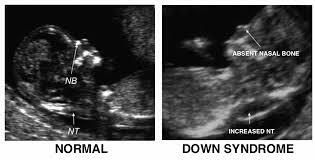 Unfortunately, last Friday, a three-judge panel of the 7th Circuit Court of Appeal ruled against Indiana's protection of babies with Down Syndrome. Judge Manion wrote a separate opinion, essentially expressing support for the law but stating that, regrettably, Supreme Court precedent ties the 7th Circuit's hands. Indiana can still appeal to the Supreme Court, but the Supreme Court is more likely to take the case if there is a circuit split; that is, when two federal appellate courts have reached different conclusions on the same issue. Accordingly, the pro-life movement continues to pursue anti-ableist abortion legislation in multiple jurisdictions. Pennsylvania is next on the list. A bill against abortion for Down Syndrome passed the Pennsylvania House of Representatives last week with bipartisan support. However, it faces a tough road in the state senate, and Governor Tom Wolf is a known abortion industry supporter. Life Legal Defense Foundation, perhaps best known for representing David Daleiden and Sandra Merritt of the Center for Medical Progress, also represents Sally Passmore and Paula Thyfault. Like David and Sandra, Sally and Paula used the power of video to expose abortion industry wrongdoing, at great personal cost. Sally and Paula worked for 21st Century Oncology, a cancer treatment center in Jacksonville, Florida, that happened to be located next to All Florida Women's Center, an abortion business operated by Patrick J. Kelly. Sally and Paula were active in their local pro-life community, and when Patrick Kelly found out that they had participated in anti-abortion rallies (though at other abortion centers, not his own), he took it upon himself to make repeated complaints to 21st Century Oncology's human resources director. This went on from 2010 to 2014. For four years, the abortionist next door tried to get Sally and Paula fired from their jobs because of their opposition to abortion. 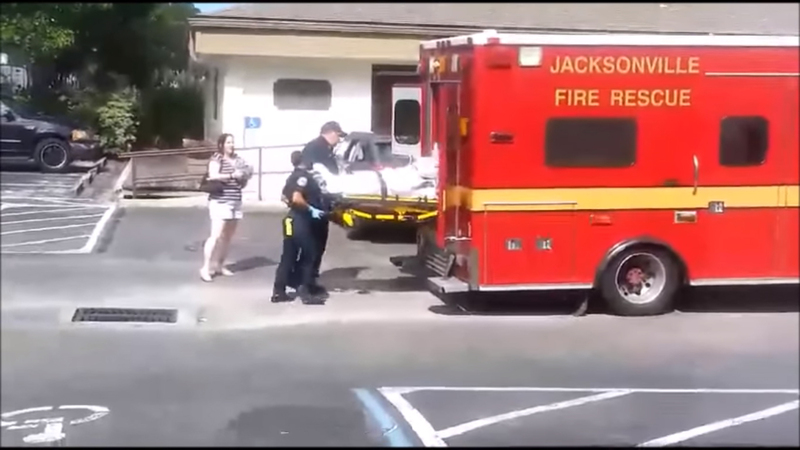 In September of 2014—just two months after All Florida Women's Center was cited by state health officials for, among other things, lack of emergency preparedness—an ambulance arrived for a botched abortion victim. Several 21st Century Oncology employees, including Sally and Paula, gathered in the parking lot. Sally legally recorded video footage on her cell phone, which you can view here. Patrick Kelly, apparently angry that the medical emergency had been made public, complained once more to 21st Century Oncology. This time, Sally and Paula were fired. Their co-workers, who had also gathered in the parking lot but whose abortion views are not known, were not fired. Life Legal Defense Foundation sued 21st Century Oncology on Sally and Paula's behalf. The proceedings were repeatedly delayed, in large part due to 21st Century Oncology filing for bankruptcy. Finally, earlier this month, the U.S. District Court for the Middle District of Florida considered 21st Century Oncology's motion to dismiss the case, and held that the case will go forward. A case management conference is scheduled for this Friday. The court's order wasn't all positive, however. Life Legal Defense Foundation's complaint set forth several legal theories of the case, but the court is only allowing one: religious discrimination. This means that if Sally and Paula succeed, their victory would not set a protective precedent for atheists and agnostics who are similarly fired for being pro-life. It's time to make plans for the Pro-Life Women's Conference! The Pro-Life Women's Conference is just two months away, and we can't wait to see you there! When: Friday, June 22 at 5:00 p.m. through Sunday, June 24 at 3:15 p.m. Cost: Early bird registration (through May 31) is $149; student rate is $109. Meals included. Hotel discount available. The speaker lineup is amazing, with topics ranging from racial disparities in women's healthcare to frozen embryos to the menstrual cycle to empowering single moms... seriously, check out the full schedule because I have barely scratched the surface. Just as important as the presentations themselves are the wonderful people you will meet, which is why I'm pleased to see that this year has added networking time. Also new this year: a self-care workshop and an art contest. And as you'd expect, this event is very family-friendly, with a nursing station and a welcoming environment for small children. This is the third annual event, and Secular Pro-Life is proud to be a three-time co-sponsor. It just so happens that the conference will happen just ten days after the launch of our (currently top-secret) new project. Come by our sponsor booth to learn all about it! We'll also have free secular literature for you to take home and use in your pro-life advocacy. I've not previously commented about this, in the interest of not giving attention to ideas that do not deserve it, but now that it has become a news story I feel compelled to speak out. 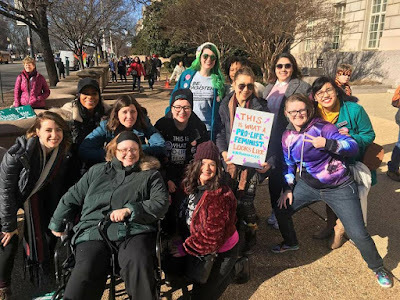 The pro-life, pro-woman organization New Wave Feminists (NWF) was founded by Destiny Herndon-De La Rosa, and for a long time, her second-in-command was a woman named Kristen Hatten. Around the time President Trump took office, Kristen had a sudden change of philosophy and adopted alt right, "ethnonationalist" ideas... crudely expressed in the form of disturbing, racist memes which I will not link to here. Destiny immediately removed Kristen from NWF and brought on Cessilye Smith (who is black) as her new co-leader. 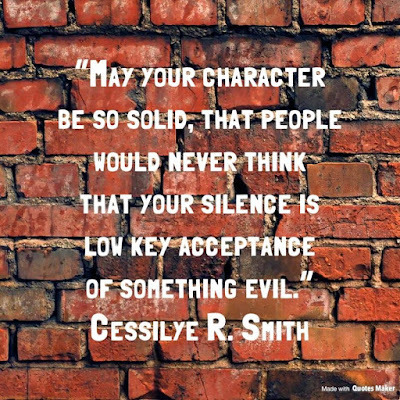 In other words, Destiny did everything right, and as we all know, no good deed goes unpunished. Destiny's punishment arrived yesterday in the form of a venomous Huffington Post article, which—despite being about a pro-life organization's rejection of racism—takes every opportunity to falsely portray pro-lifers and racists as natural allies. 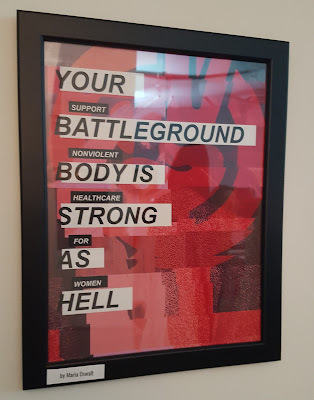 It contains such gems as: "throughout the history of the abortion wars, a great deal of violent energy has been generated at the confluence of anti-abortion activism and white supremacy," "the movements share heroes," and "the kinship isn’t hard to understand: both are movements of the status quo, dedicated to preserving a white patriarchal order." It's a depressing read with an accusatory subtext: that NWF (and, by extension, pro-life advocates in general) cynically distanced itself from Kristen for purely optical reasons. As opposed to, you know, because we value people of color. I would like to turn this around into something positive. People of color, like all people, are valuable first and foremost because human beings have inherent worth. But allow me to also shed some light on the valuable accomplishments of pro-life people of color—because Secular Pro-Life would look a lot different without them. The #HelloHyde campaign? That was led by women of color. Our 2017 Students for Life of America conference presentation? Yup. Our upcoming project that launches in June—I'm not at liberty to discuss it yet, but you're going to love it—brings back the #HelloHyde volunteers plus many more. At the foundation, I don't think I would have become a pro-life activist at all if not for the support I received from people of color. 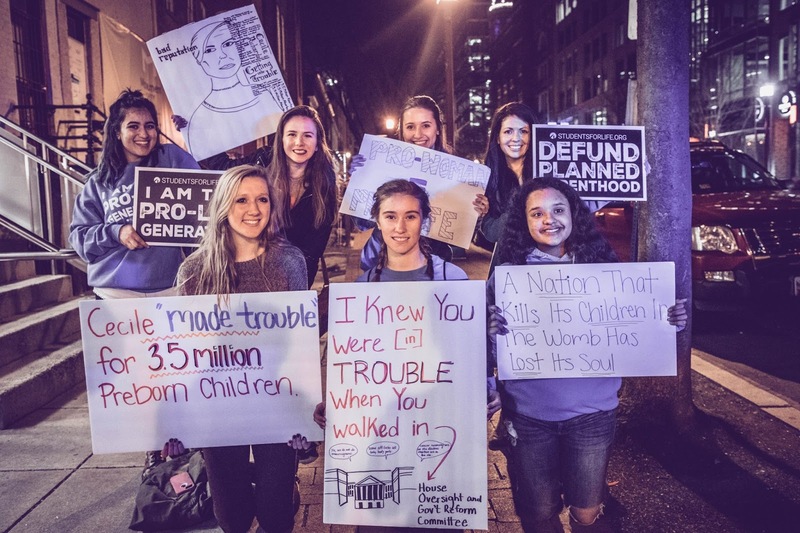 I got involved in the pro-life movement as a college student, attending the University of Miami—where the overwhelming majority of the pro-life student organization was Latinx. If they hadn't been there, who knows? I could have dedicated my time to some other club and Secular Pro-Life wouldn't even exist. I'm just speaking from my own experience, of course, and I don't want you to come away with the impression that racial diversity in the pro-life movement is somehow new. People of color have made substantial contributions to the cause from the beginning. What I would give for Hollywood to make a Mildred Jefferson biopic! 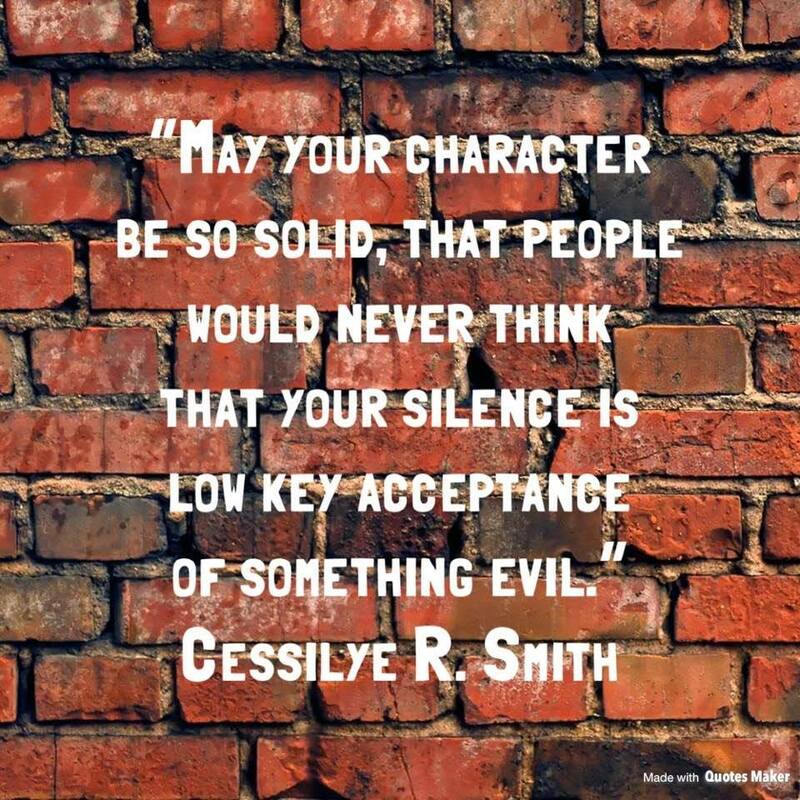 "May your character be so solid, that people would never think that your silence is low key acceptance of something evil." This is a transcript for a live video which was posted to our facebook page on Sunday. Hi, everybody, it's Kelsey Hazzard, the President of Secular Pro-Life, and as you can tell by the title of this video, I'm not going to make it a big surprise or anything, we've applied for 501(c)3 status and I just wanted to talk a little bit about the history and why it is that we're doing it so you can be fully informed. Secular Pro-Life was actually, we've been around for almost ten years now. We got started in January of 2009, so we are coming up on our 10 year anniversary. And this whole time we have not had any special tax status with the IRS. We have been incorporated as a not-for-profit corporation in the state of Florida, which is where I live, and obviously that comes with responsibilities to manage your donations wisely. But we haven't gone that next step of getting the 501(c)3 status. The main reason for that was that we've traditionally relied on donors who are gonna give no matter what, who are just so invested in our mission, and a lot of our donors are young adults who are kind of just getting started in life and take the standard deduction. So offering that tax deductibility for your donations didn't really matter to most of our donors. But as we've gotten bigger and as we've developed as an organization, we started considering the 501(c)3 tax status and we put up a poll on facebook a while ago asking you all, would it make a difference if we were a 501(c)3? And about half of you said yes. And in the comments, the feedback that we got for that was, a lot of you said it wasn't so much about the tax deduction as it was about the status itself and the legitimacy that brings and the transparency you get with the annual form and that kind of thing, for the financials. And again, just to be clear, we have had that legal responsibility from the beginning to use your donations wisely and we've obviously abided by that, but people wanted that additional transparency and thought that that would be valuable, and we agree. So we have gone ahead and submitted our application for 501(c)3 status! And we should hear back, the IRS says it's on average 90 days, so we hope to hear back soon. In the meantime, the way it works is that once the status is conferred, it's retroactive. So if you were to make a donation today, and then we get the tax-deductible status, your earlier donation would become tax-deductible. So that's how that operates, and yeah, we should hear back pretty soon. I don't expect any... obviously there are no guarantees but I don't expect any issues with our application. It's a pretty straightforward process. I really want to thank you guys for your support, and if you do feel it in your heart to make a donation, you can do that on our website; it's just secularprolife.org/donate. And again, thank you all so very much and we look forward to continuing to our cause in the future. Bye! In 2011, Texas redirected taxpayer funds from Planned Parenthood to federally qualified health centers and other comprehensive healthcare providers. The next year, maternal mortality in Texas allegedly skyrocketed. Pro-lifers were immediately blamed. Planned Parenthood funding had been saving lives! Post hoc, ergo propter hoc! That explanation was unsatisfying, because Planned Parenthood doesn't offer birth care. Nor would Planned Parenthood's provision of contraceptives explain it; FQHCs offer contraception too, and besides, the maternal mortality rate is calculated per 100,000 births, so it should be unaffected by changes to the pregnancy rate and birth rate. So what was causing more Texas mothers to die? And what could the pro-life movement do to prevent these deaths? For the past few years, Texas’s maternal mortality rate was so high it seemed unbelievable. As it turns out, according to a study released this week it was, indeed, not to be believed. This week, the Texas Maternal Mortality and Morbidity Task Force released a study in Obstetrics & Gynecology that found the maternal morbidity figures from 2012 — which had Texas mothers dying at rates that shocked experts and the public — were based on sloppy and erroneous data collection. So sloppy, in fact, that more than half of the deaths that were recorded as pregnancy-related that year were recorded that way in error. Specifically, the phantom mortality increase arose from changes to Texas death certificates, which resulted in more coroners incorrectly checking a box to indicate pregnancy-related death. A recently published report combed through this data and determined that "after all of the data-collection errors were excluded, Texas’s 2012 maternal mortality rate was corrected from 38.4 deaths per 100,000 live births to 14.6 per 100,000 live births." That's considerably lower than the current (2015) national average of 26.4 deaths per 100,000 births. Put another way, not only did Planned Parenthood defunding not cause a spike in maternal mortality, it's actually safer to give birth in Texas than it is to give birth in the United States as a whole. To be clear, even one pregnancy-related death is too many. None of this takes anything away from the fantastic pro-life initiatives, like Abide, that are working hard to improve the health of Texas mothers and babies. And as the Washington Post points out, the United States has a long way to go before it matches the maternal mortality rates of other developed countries. "Today, we're going on the offense." That's what Planned Parenthood Executive Vice President Dawn Laguens told the media just a few weeks ago. She went on to declare, "We're pushing for efforts in all 50 states." More than ever, we must push back against the nation's largest abortion chain. There have been positive signs; the abortion rate is at a record low, and just this week, the state of Tennessee turned off its spigot of taxpayer money to Planned Parenthood. But the organization remains flush with cash, and is investing it to expand abortion. It has its eyes on the midterm elections, where it hopes to use Trump's unpopularity to oust pro-life politicians at all levels of government. In light of these challenges, #ProtestPP organizers have announced the third annual event, to take place at Planned Parenthood locations across the country on Saturday, April 28. A full list of locations can be found here. The nature of the event varies by location; some will be religious prayer vigils, while others will be of a secular nature (rallies, pickets, etc.). We strongly encourage you to participate, and send us pictures of your most creative protest signs! Above all, remember to stay safe and protect those around you. Cecile Richards recently came out with a ghostwritten memoir, Make Trouble, that glamorizes her role at the helm of the nation's largest abortion chain, Planned Parenthood. Pro-life advocates are peacefully protesting outside every stop on her book tour to ensure that her faux feminist narrative does not go unchallenged. Students for Life of America volunteers are distributing an excellent pamphlet, "Getting Into Trouble," that summarizes Planned Parenthood scandals you won't find in the book—including Medicaid fraud in Texas ("Charging taxpayers for contraceptives for patients who were already sterilized seemed like a good idea at the time"), Planned Parenthood's support of disability-based and race-based abortions, and the precipitous drop in prenatal care services during Richards' tenure. At her Washington, D.C. stop, Richards was also greeted with tongue-in-cheek references to Taylor Swift's "I Knew You Were Trouble." This Wednesday, Richards' book tour takes her to San Francisco, where Pro-Life San Francisco (led by SPL's own Terrisa Bukovinac) will rally in opposition outside the Norse Theater beginning at 7:00 p.m. local time. Tonight, April 9: University of Washington bookstore, 1415 NE 43rd, Seattle, WA at 7:00 p.m.
April 10: Powell's Books, 1300 SE Stark Street, Portland, OR at 7:30 p.m.
April 12: Dominican University Angelico Hall, 50 Acacia Way, San Rafael, CA at 7:00 p.m.
April 13: First Congregational Church, 540 South Commonwealth Ave., Los Angeles, CA at 7:00 p.m.
April 14: Nicholas Senn High School, 5900 N. Glenwood, Chicago, IL at 4:00 p.m.
April 15: McIntyre's Books, 220 Market Street, Pittsboro, NC at 2:00 p.m.
April 21: Book Revue, 313 New York Ave., Huntington, NY at 3:00 p.m.
April 22: Cooperative Arts & Humanities High School, 177 College St., New Haven, CT at 2:00 p.m.
April 23: Temple Emanu-El Streicker Center, 10 East 66th St., New York City, NY at 7:00 p.m.
May 9: Parnassus Books, 2400 Blakemore Ave., Nashville, TN at 6:30 p.m.
May 22: Chappaqua Public Library, 195 S. Greeley Ave., Chappaqua, NY at 7:00 p.m.
We encourage pro-life advocates in each of those regions to peacefully protest those locations in memory of the more than 3.5 million lives snuffed out by Planned Parenthood during Richards' term as its CEO. Richards announced her resignation from Planned Parenthood in January, but her replacement has not yet been named. Former Texas legislator Wendy Davis, infamous for her unsuccessful filibuster of abortion safety regulations, is rumored to be in the running. At 11:00 a.m. Pacific time, pro-life advocates will rally outside the Office of the President at UC Berkeley (1111 Franklin St., Oakland, CA) in opposition to California SB 320. This disastrous bill would turn campus health centers into chemical abortion facilities. You can read more about SB 320 here. 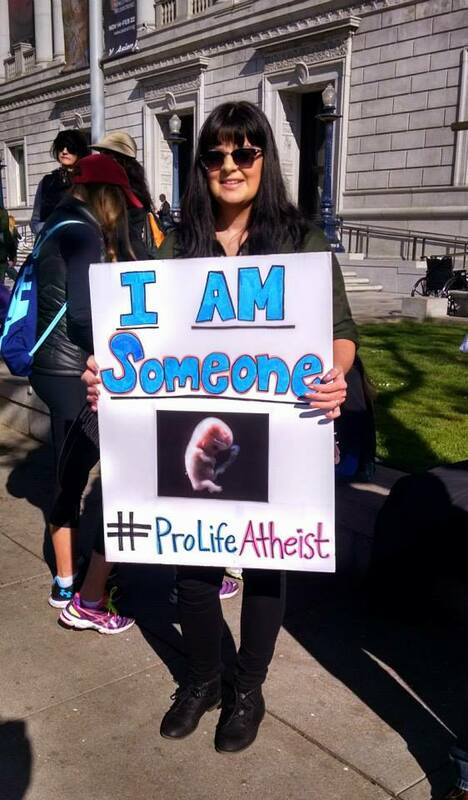 Our very own Terrisa Bukovinac (right), who is also the head of Pro-Life San Francisco, will speak at the rally. Come join us! You can also follow the rally on twitter using the hashtag #StopSB320.